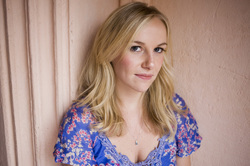 Emma Chapman grew up in Manchester, England. After university, she emigrated to Perth, where she lived for four years, before moving to Jakarta where she currently lives. How To Be A Good Wife is her first novel. Absolutely wonderful. The book has been out for a year and a half and I still haven’t tired of seeing it in shops. I love talking about the book too: I spent so much time with the characters on my own, unable to discuss them with anyone. It’s so lovely to discuss them with readers. What has surprised you about readers’ responses to How to Be a Good Wife? I’ve not been surprised by the strong feelings the ending has evoked: I knew that the open-ended nature of it might not be popular with everyone. I can’t think of many surprises. How to Be a Good Wife is set in a beautifully described, but unspecified, part of Scandinavia. What was it about that part of the world that made you feel it was right for this novel? The vast open spaces seemed to contrast with Marta’s claustrophobic home environment. What did you most enjoy about writing How to Be a Good Wife and what did you find most challenging? How To Be A Good Wife is my first novel, and I supposed I enjoyed the process of learning how to write a book and being inside Marta’s voice. In many ways, it wasn’t an easy book to write, especially over a long period, as Marta’s mind is a controlled, difficult place to be. Some of the scenes I found very difficult to imagine as they covered things I am very afraid of, such as entrapment. Marta’s concept of “a good wife” is taken from a book that was published for her great-grandmother’s generation that then becomes a humorous wedding gift for her daughter-in-law. Do you think any of its edicts might still be relevant to women today? When I was at university, I studied a course on women writers of the early twentieth century. I was surprised at how much their struggles with autonomy still seemed relevant to me in the early twenty first century. Hopefully most of the ‘rules’ Marta lives by are so rigid as to be humorous by today’s standards, but the ideas in the novel they underpin – about women’s marital role – still feel relevant. I enjoyed the ending, despite hoping for a better outcome for Marta, and didn’t see it coming. I suppose that, at bottom, it’s being a mother that makes her vulnerable, as she cannot pursue her own version of events without hurting Kylan, and that’s something that doesn’t really alter across history? I agree. Marta’s life is almost totally about Kylan, and has been since he was born. He is the most important thing in the world to her, and she believes she is saving him from a difficult decision. Motherhood can become all encompassing and I don’t think that will change over time. I think it can be dangerous as a woman to define yourself too closely with the role of motherhood, as one day your children will leave home, and you will be left wondering where your identity lies. I was very impressed with the voice. Although her life is fairly uneventful in the early pages, Marta immediately grabbed my attention. How easily did this voice come to you? Marta’s voice was the one constant that drove the novel. It was there from the beginning, and helped the plot development. I’m not sure where it came from, but I’m very grateful for it. I wrote the first draft while studying for a Masters in Creative Writing at Royal Holloway. That year, I also worked three days a week at a London literary agency. When I finished my novel, I sent it to them, and luckily they liked it and took me on as a client. We worked on the novel for two years before it was sent to fourteen UK publishers and found a wonderful home at Picador. And about the creative things you’ve been doing to promote it, including your interactive website and mammoth tour of independent bookshops in the UK? Living in Indonesia, I am somewhat limited in what I can do in person to promote the book. I came up with the website as a place for existing readers to find out more information and discuss the themes of the book in a fun, interactive way. When I do come back to the UK, I try to make the most of my time there, and I decided to conduct my Indie Book Crawl this summer as a way to thank independent bookshops for all the work they do on behalf of authors. Almost 550 bookshops have closed in the UK since 2005, and if we don’t shop locally, more and more will disappear. I wanted to encourage readers to buy from their local indie, as they are so much more than retail outlets. Writers are often beset with a range of different creative ideas. How did you know that How to Be a Good Wife was the one you wanted to run with? I know when I want to write about something when I can’t stop thinking about it. It’s usually an issue or idea that I want to understand better. With How To Be A Good Wife, it was the question of whether you could be the same person after something terrible had happened to you. My process changes all the time. At the moment, I am working intensively for two hours first thing in the morning. I find that if I prioritise my writing and get it done early, I can relax and enjoy the rest of my day, which I spend promoting How To Be A Good Wife or doing other things. I’ve been much more productive since I started this schedule. That I should get a ‘real job’ first and wait until I was older to pursue writing. The thought that every part of the process, even the setbacks and failures, will help me improve and grow in the long term. My second novel, which is about a British photojournalist who goes to Vietnam during the American War. So many! The most recent I can think of is ‘The Goldfinch’ by Donna Tartt. Or any of Tartt’s books actually. What’s my favourite ice cream? It’s Old English Toffee.